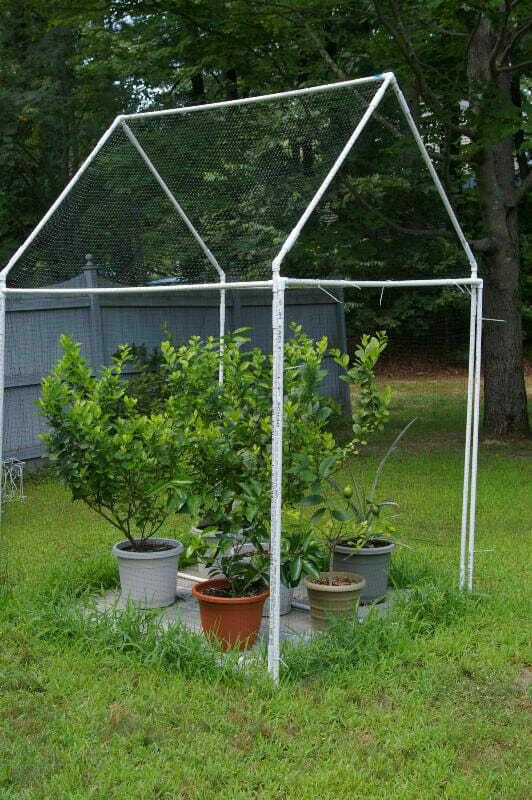 For those not lucky enough to live in a climate conducive to citrus, there is a way to grow fresh lemons and oranges. But you're gonna have to get creative. We’re happy for you, California and Florida. Really we are. But many of us live in harsher climates, where a citrus tree would freeze to death before Thanksgiving. 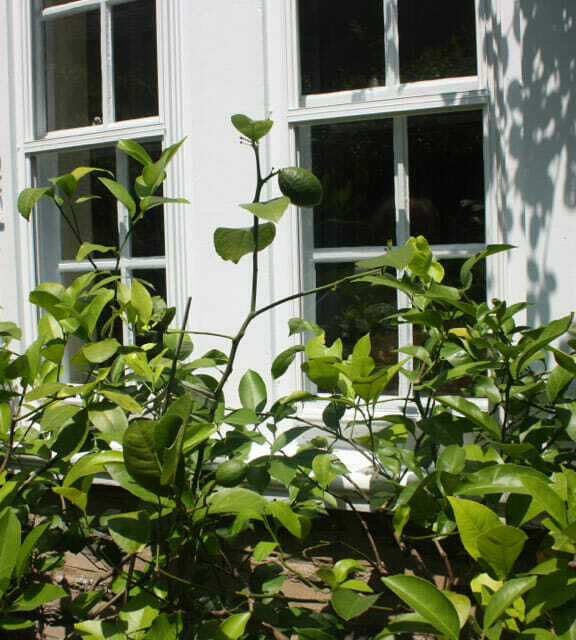 If we want homegrown key limes, it’s going to have to happen indoors. Growing citrus inside is nothing new. Wealthy European estates as far back as the 17th century had orangeries, greenhouses used for overwintering citrus trees and other delicate plants. 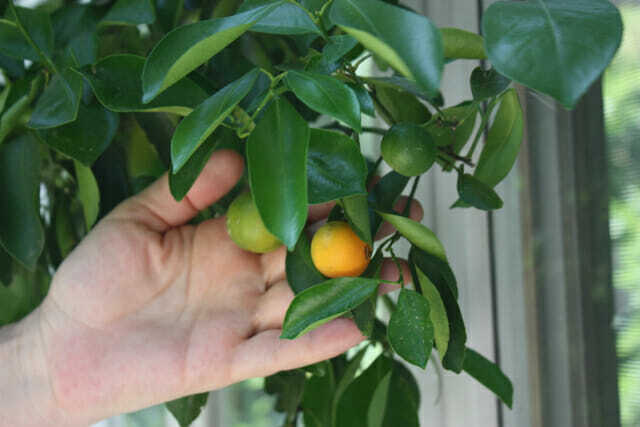 But you don’t need a fancy solarium or any special equipment to produce a respectable crop of citrus – just a sunny window and a little patience. A small pot helps keep your tree smaller in case you don’t have 15-foot ceilings. Plus, a light plastic pot will be easier to move around the house and yard, following seasonal light. 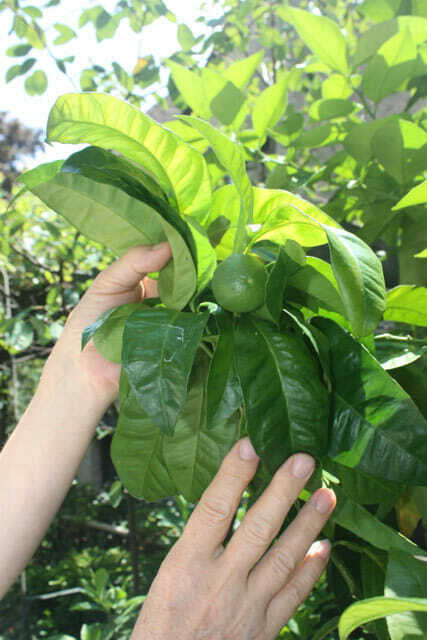 “You want a pot with good depth,” says Donna Dube, who has been growing citrus trees with her husband in their Massachusetts home for about 15 years. 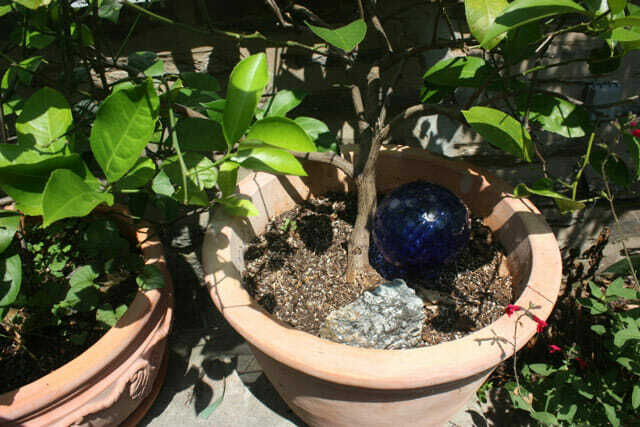 A deep pot helps balance the tree when it gets larger and becomes top-heavy. “Citrus trees don’t like wet feet,” Dube says. To allow the soil to dry out, Dube and her husband experimented with mixing sand into standard potting soil. Now they use a special soil mix for cactuses and citrus trees. To help the soil drain well, Dube recommends lining the bottom of the pot with pebbles. If you’re worried about keeping the weight down so you can move the tree easily, it’s possible to substitute Styrofoam packing peanuts for rocks. 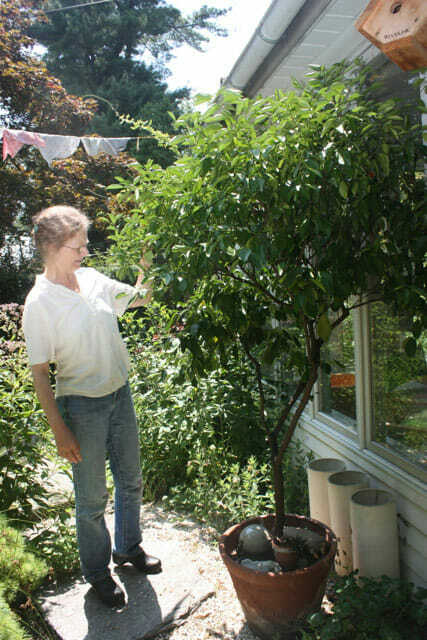 Doris Kessler, a landscape architect in Philadelphia, augments her soil in the early spring with a special fertilizer for citrus trees, bought at her local garden supply store. 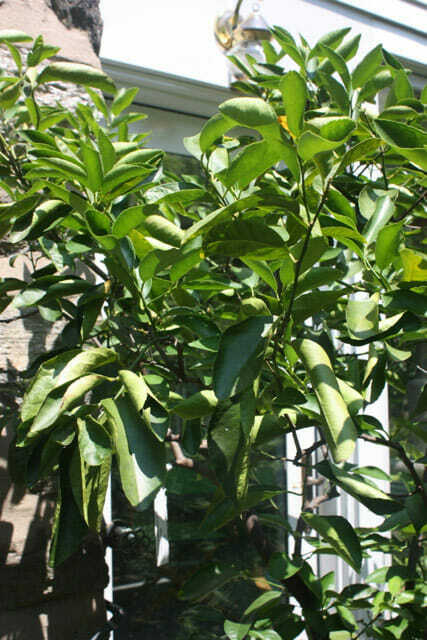 Kessler has a large collection of citrus trees that spend the winter in an unheated, glass-enclosed porch. Kessler and Dube both bring their trees outside from spring to fall. This year, Dube and her husband built an outdoor shelter to protect the fruit from birds. The hut is constructed out of PVC pipe, bird netting and zip ties. Dube waters once a week during the winter, when the trees are semi-dormant. For 18-inch pots, she gives half a gallon of water. Trees in smaller pots get less. In the summer, when they’re outside, she waters every day, taking care to wait until late afternoon so the trees aren’t in direct sunlight. In extreme heat, she waters more than once a day. Curled leaves are a sign that the plant needs more water. Conventional wisdom says indoor trees need help to pollinate their flowers because there are no insects around to do it. Dube sometimes pollinates her trees with a Q-Tip. But sometimes she lets the flowers fall off unpollinated in order to give the tree a rest from bearing fruit. But Kessler stopped pollinating her trees years ago, and they somehow manage to produce fruit. “There’s no insect pollination going on — unless aphids pollinate,” she jokes. 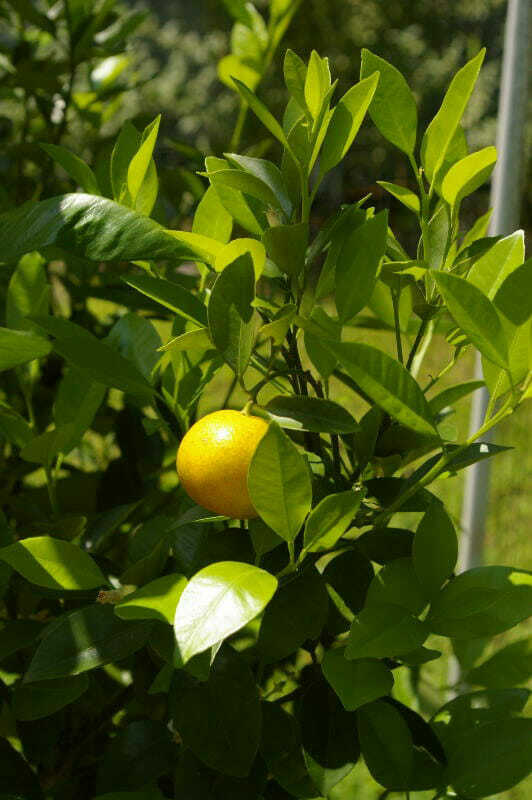 Kessler’s favorite citrus trees are her Meyer lemons. They usually bloom in March, she takes them outside in May, and the fruit ripens over the summer. In a good year, she gets as many as 15 lemons on each tree, and harvests them during the winter as needed. 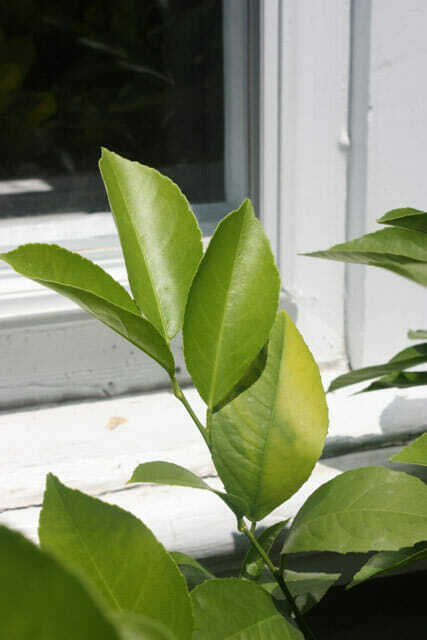 Fruit drop is very common in potted trees, but Kessler says that’s not necessarily a bad thing. “They set way more fruit than they can support,” she says. Kessler keeps an eye out for yellowed leaves, a sign her trees need more iron. She gives them a special chelated iron supplement that she buys at Logee’s Greenhouses in Connecticut, the same place she got most of her trees. This year she had an aphid infestation while the trees were still indoors. An application of horticultural oil took care of it, but it was a messy, unpleasant task to spray the trees indoors. 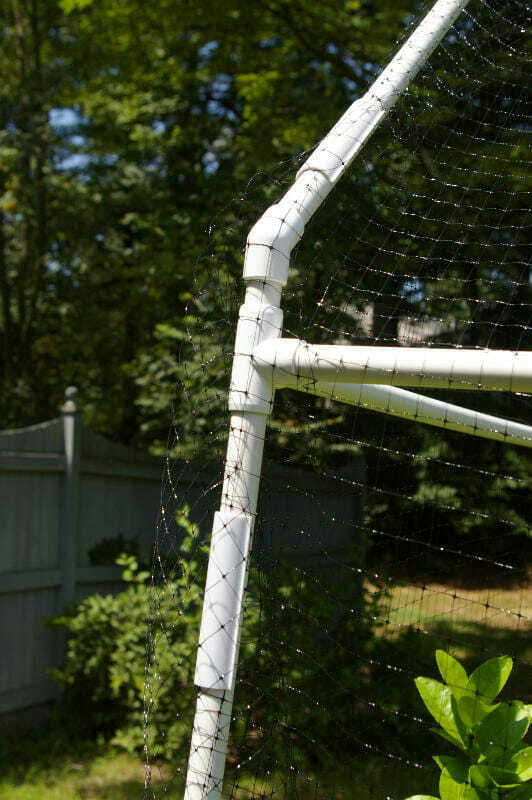 “We’ve had some pretty ugly infestations of spider mites,” says Dube. 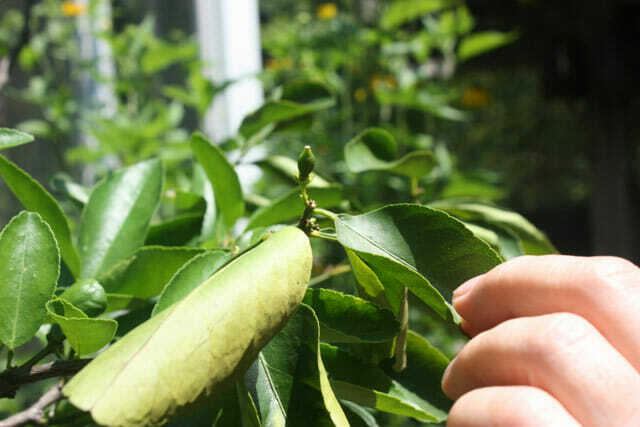 She has also struggled with scale bugs, but the risk of both parasites is reduced by spraying the leaves down with water occasionally, and both can be eradicated with insecticidal soap. Dube, meanwhile, has branched out into other tropical fruit plants, including a pineapple, a dwarf pomegranate tree and a weeping fig. 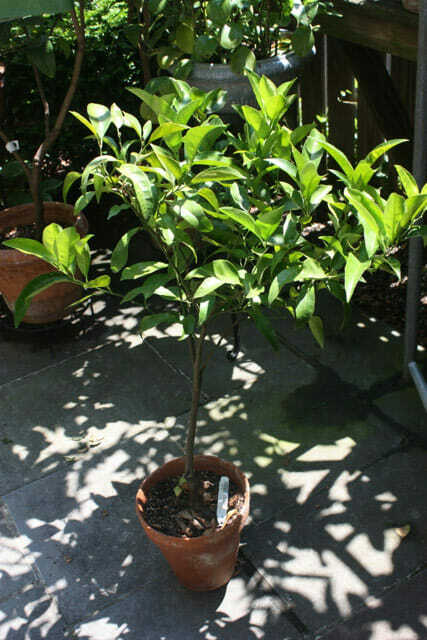 They are hard to find, but a pineapple orange tree is my favorite potted citrus tree. I have to say it is the tastiest orange variety I have ever had. I found mine at a military exchange store, they only had one, and it looked like the Charlie Brown Christmas tree, but I brought it home. It produced over 20 oranges this year, which made it top heavy. I wish I had 10 of them! We live in the Pacific Northwest, where we can have cold weather September-April. At what temps do you bring them in and take them out? Would a ‘grow’ lamp help in the winter? Would a wood stove dryness affect it, if its in the same room? 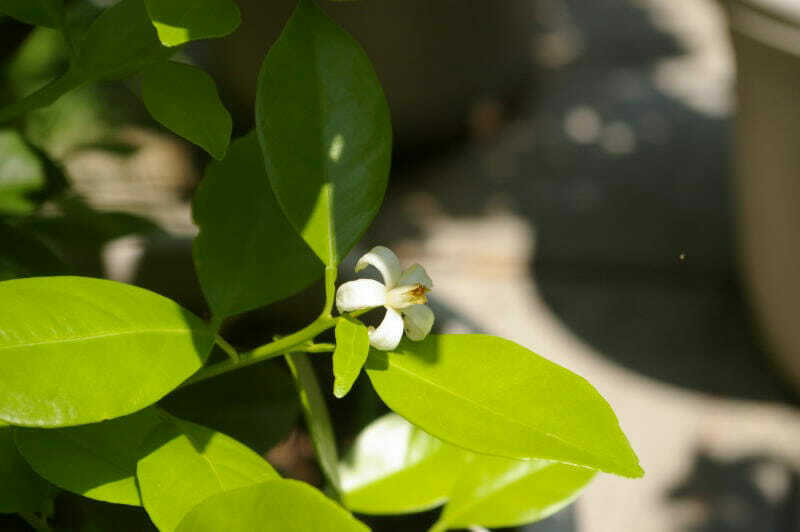 My two year old orange tree stays on the deck during the summer months. It bloomed last summer and set a multitude of oranges. They grew to the size of walnuts. I brought it inside this winter where the oranges turned color. They are pretty, but very sour. Now the tree seems to be dying. What can I do for it?